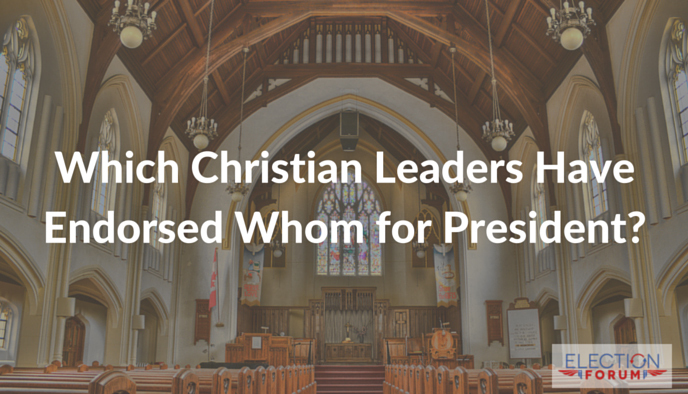 Which Christian Leaders Have Endorsed Whom for President? Christian singers, leaders, pastors, and well-respected thinkers are giving their endorsements for Election 2016. About forty black pastors, including Bishop Vaughn MacKenzie, Pastor Kirbyjon Caldwell, and Reverend Mark Tyler. Question – how could any pastor, black or white, support a person such as Hillary Clinton. Both the killing of the unborn children and homosexuality is clearly sin. Are these guys supporting sin? I really don’t understand “Pastors supporting Hillary Clinton”? Are they really Christians? I’m sorry but i cannot understand that part are they with/against God. They cannot serve to two Masters!! Hillary is the “Abortion Queen” she believes in the killing of innocent unborn babies. How could any true man/woman of God vote for her. Yes I will pray for God to take away her evilness. While a few well known pastors praised Trump, I am glad to find an article in Christianity Today by Max Lucada questioning how evangelicals could support him. be mentioned in Revelation – Laodecea? I am distressed that in a relativistic culture, those who know Biblical truth cannot see the neglected treasure of Dr. Carson and to put all hands on deck in unity to get him elected. He represents the true American Dream and is the remedy for the immoral and destructive economic and governmental compromise of Obama who is not really representative of our historical wound brought about by slavery. It is the height of deception to go from Obama to a Cruz/Rubio Latin excursion or a trumped up man who promotes licentious casinos and playing bankruptcy ….worse would be a communist….Hillary is corrupt and Sanders is a communist. So I am asking the Christian leaders to please repent and get every one behind the true American which incarnates our historical values….George Washington, George Washington Carver and Booker T. Washington would rally behind Carson….wisdom, humility and a servant who is running not for political ambition but to save our Republic. Oh, such true words have been said, Dr Carson is the only person running for president that deserve tobe hold that office. You are so right! I’m befuddled that people don’t see the depth of character, honesty, intelligence, and humility of Dr. Carson. He is by far the best candidate to lead our land back to greatness. I love Dr. Ben Carson. He was my first pick for president. Now is Trump. I believe that he is the only one who can take down nasty Hillary. I do not want a female white Obama! Trump is a loud mouth and much too arrogant. However, Hillary is the epitome of evil! No question Ben Carson is a Christian & a wonderful man. I am at peace knowing God is in charge! You have to look at what Cruz did to Dr Carson in Iowa. Either he or his staffers told a lie. Or did CNN do that and Cruz’s staffers just believed it? Anyway, it saddens me to see so much infighting among people who would be 99% in agreement. Ben Carson would make a great Secretary of Health and Human Services, or Surgeon General, in a Cruz Administration. Yes and that is why I no longer am a Cruz supporter + plus a few more. not PC. I can see him as a strong leader on the world stage. conservative Christian leader who can heal, revive and inspire this broken nation of ours. I hope that if Trump wins the nomination that he will select Carson as his running mate. Sorry I cannot see Cruz doing that! I am trying not to resent what you are saying about Christians and Trump. In fact you almost made me lose my Christian. However, I am a Christian and yes I am voting for Trump. He is a Christian maybe not like the one that fits all. Respectfully, it is my business not yours. I don’t see where you said that you would pray? I pray for all of them! Look good but don’t end well; nor do good under pressure. No matter who we want. The final decision is up to God. He will put in the White House whom He wants not us. I shall abide by His will. Our country is at the brink & our vote is very important. us to be fruit inspectors & then gives us freedom to choose. Wisdom comes from God – prayer! I will keep praying. Although it is God’s choice not ours! His will be done–not ours! 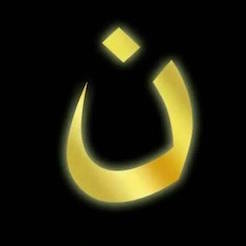 “What difference at this point does it make?” Christians voted Obama for President twice! I’m not voting for a pastor or evangelist or a saint. Christians who implement a litmus test as to the candidate’s religion or perceived level of godly relationship, that is a big mistake. We must vote the best person for the job regardless of what religion they may belong to or their perceived level of Christianity. Whichever candidate has the best grit and will best accomplish restoring America back to its foundation is my first priority. If they adhere to a Judeo-Christian faith, that’s a bonus and my hope, but not the primary priority, nor should I be judgmental of their relationship with God. leaders arrive at their decisions is important to me..
in making an educated choice. I have been for Donald Trump from the beginning. As all Christians, he is not perfect, but I know he could straighten out the harm that Obama has done. That is what we need. At first I tho’t he and Ted Cruz would make a good combo, but Marco and Cruz have disappointed me. Maybe it will be Chris Christy or Kasich. Or maybe someone we haven’t even tho’t of like Condelisa Rice. My apologies if I spelled her name wrong. Donald Trump fights back when people call him names. If they would stop calling him names, he would probably not act the way he has been doing. Yes, he has to get tough for when our enemies do it, but why should he like it when the people who are suppose to be on his side do it. I pray that he wins! I am a Trump supporter and I am voting for him. I hope that God will watch over him and keep him safe. And that if it be the will of God that he will win. Ted Cruz hired a campaign manager who has a long history of dirty tricks (he had already used the “dropped out” trick before). Cruz “apologized,” but Jeff Roe is still his head guy. Not convinced. The biggest concern is whether a candidate truly is aligned with God’s Word relative to abortion, marriage, and protecting religious freedom. If they don’t understand the importance of faith (like our founders certainly did), they can be easily swayed to positions opposed to Christians. Every Evangelical Supporter of Trump needs to read this article by the Christian Post…..
Editors’ Note: The Christian Post has not taken a position on a political candidate before today. We are making an exception because Trump is exceptionally bad and claims to speak for and represent the interests of evangelicals. I find that The Christian Post, and Max Lucado’s recent blog, is disingenuous. After years of not voicing a political opinion, then Trump comes along, they have to say something? They’re not credible to me. I’m surprised the they have been silent for the past 7 years of Obama. As Rush Limbaugh has said, Senator Cruz is the only man running who has been a consistent Conservative throughout his life, and his positions are the closest to those of Ronald Reagan. Also, Senator Ted Cruz is the first “outsider” to run. He has led the fight in Congress against the RINO’s and Liberals. He led the fight against Rubio and Obama on the amnesty issue. Where was Donald Trump? When Donald Trump says that he will not side with Israel and that Planned Parenthood does wonderful things, I could not vote for him. Thankfully, you and Max no longer need to question this. According to Dr. James Dobson, Donald Trump has now accepted Christ as his savior, which means he has now asked God for forgiveness.